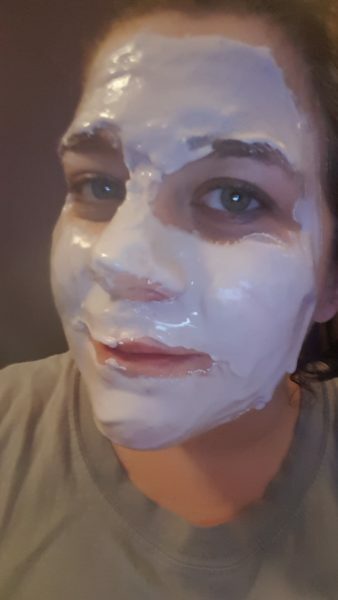 I love a good weird treatment, but this Bliss Mask intimidated me. This mask turns into a rubber texture on your face and gets peeled off after it dries. I had visions of it getting stuck on my skin and not coming off. I would look at the box on a monthly basis and think nope, not yet. When I finally decided to jump in, I read the instructions on the Bliss Mask box very closely. I wanted to make sure I got it just right. Since it was going from a powder to a paste to a rubber, I knew that I would have to work fast. 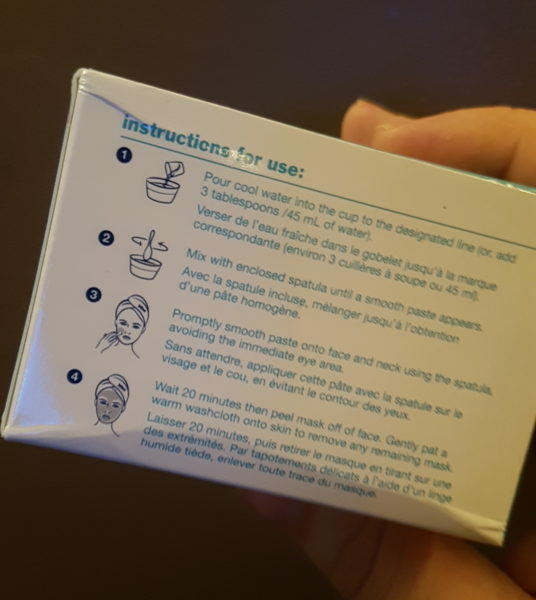 To activate and create the Bliss face mask, you have to add cool water into the powder cup and mix it. When you use the little spatula to spread it on your face, it’s going to be cooler than you expect. It is also a funny texture. That makes it a bit difficult to spread. It’s not going to be the same smooth perfect mask as on the box. Don’t worry about how it looks as long as you can spread it all around. Since you are using the whole cup in one use, it’s going to be thick. It comes off easier when it’s thick, so don’t skimp out. 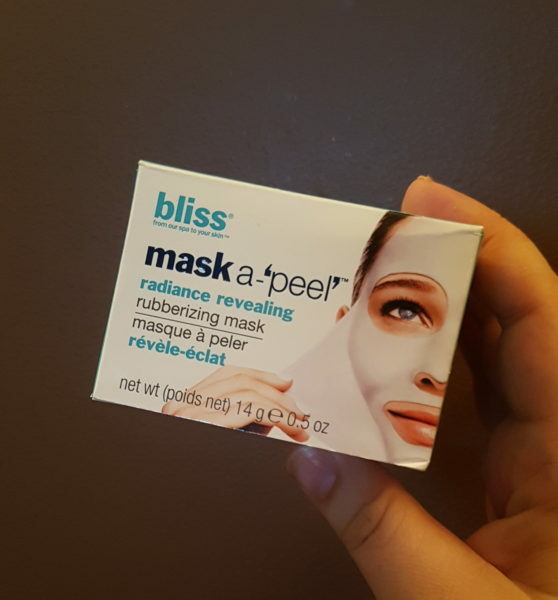 This Bliss face mask stays cool on your skin while it dries. It was kind of nice, even though part of me wanted it to dry warm. It does get solid, even while cool. It definitely feels like rubber. It doesn’t get tight. Peeling off the mask was the scary part for me. Because it doesn’t get tight, it doesn’t really stick to your skin and peel off. It is actually very easy to come off. I did wish it stuck to my skin more to clean out my pores. I have to admit that my skin does feel nice under the mask. It’s not damp and dewy or dry and tight. It’s the perfect feeling of clean and fresh. So my fear was for nothing. While the rubber feel and peel is a fun gimmick, it’s really just another ace mask. I did like the results though, so bonus!